It’s back! Every year, during the third week of June, we celebrate these amazing creatures. 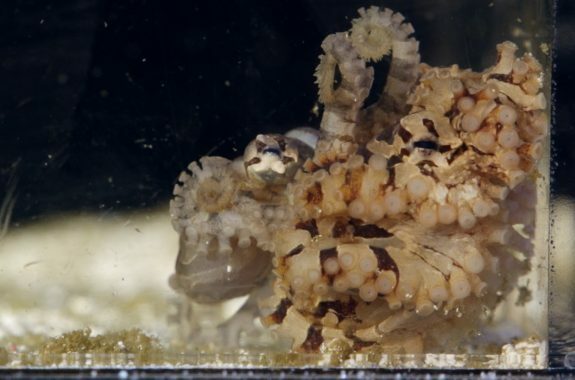 Known since Aristotle, no one understood the argonaut octopus—until a 19th-century seamstress turned naturalist took it upon herself to solve its mysteries. 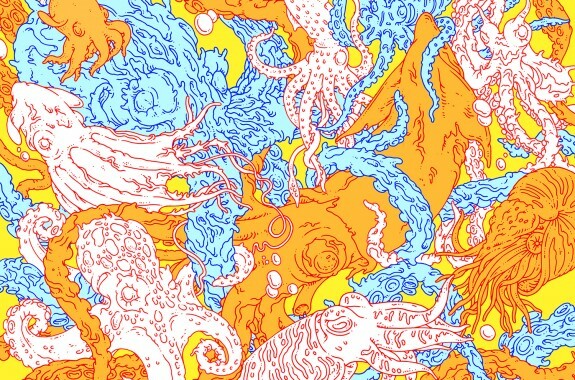 We wrap our tentacles around our cephalo-bration of octopus, squid, cuttlefish, nautilus, and other undersea friends. 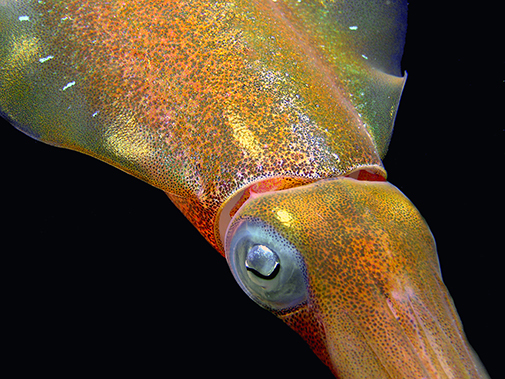 This tiny squid works with bacteria to camouflage itself. Let's get squiddy with it! 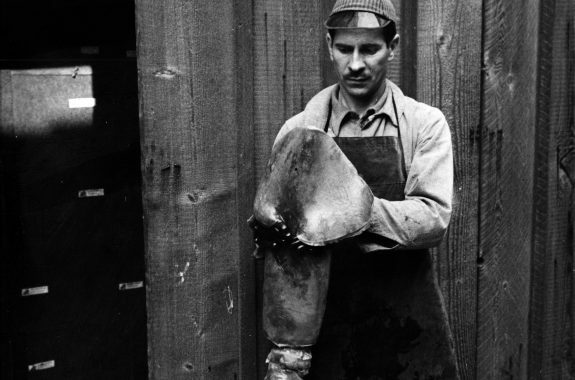 In the first major underwater film production, three key inventions helped create an iconic scene featuring an impossibly large cephalopod. Recreating this impressive feat of camouflage takes only a balloon and a bit of duct tape. The mighty cephalopod never fails to inspire. This year, cephalo-lovers around the world set their tributes to verse. 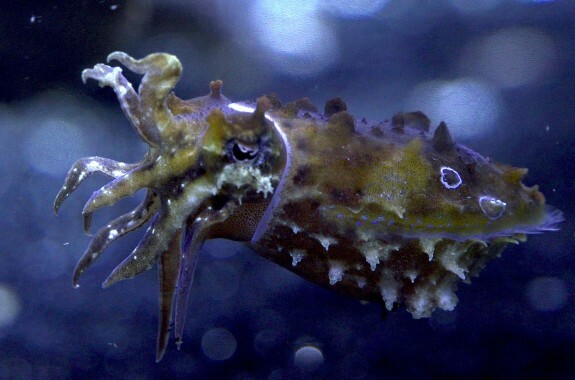 Will cephalopods one day be as ubiquitous in labs as mice and fruit flies? 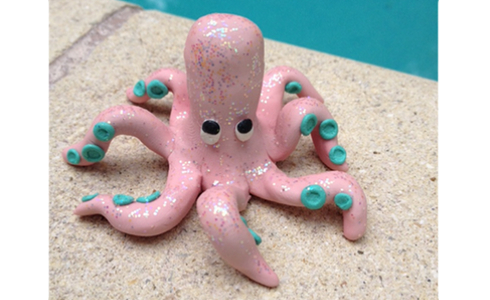 Like a kraken rising from the depths, Cephalopod Week is back! How Big Was This Squid? 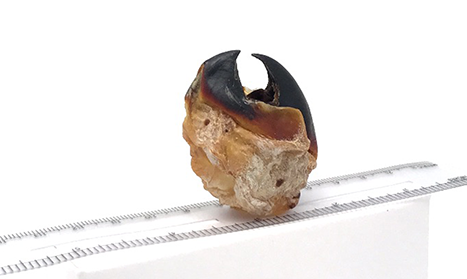 Learn how to determine the size of a Humboldt squid using a beak left behind in a whale's stomach in this data-rich math activity. 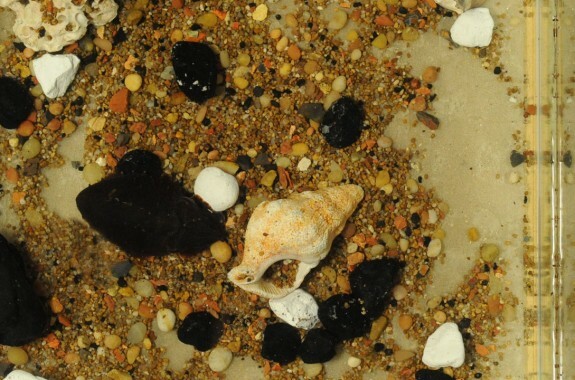 In 1940, John Steinbeck helped catalog wildlife in the Sea of Cortez. Now, a new creature lurks beneath the ultramarine waters. 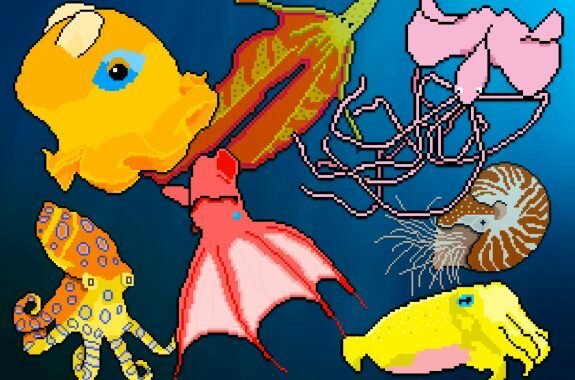 Why do we love cephalopods? They’re smart, cute, and...well...really weird. 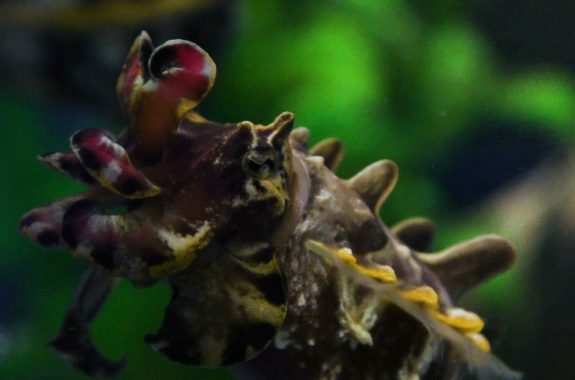 From camouflage to jet propulsion, researchers see these tentacled creatures as inspiration for their biomimetic designs. 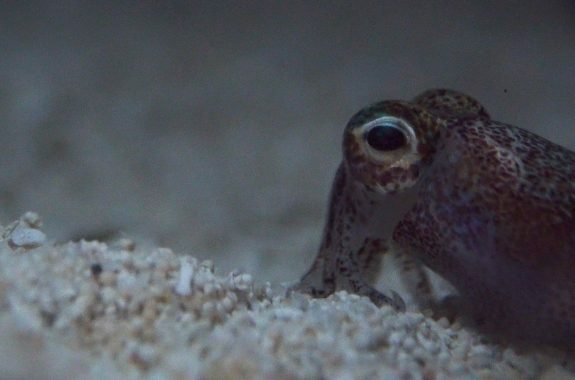 Full-time biologist—part-time cephalopod matchmaker, Richard Ross invites us into his secret home lab where he studies the mating rituals of the lesser Pacific striped Octopus. Observe the different features of a squid from your local market and then create a squid print where you can document your findings. 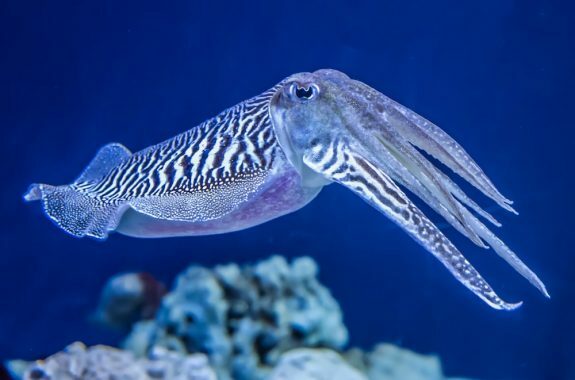 Can you engineer a jet propulsion system that mimics the speed of a squid? 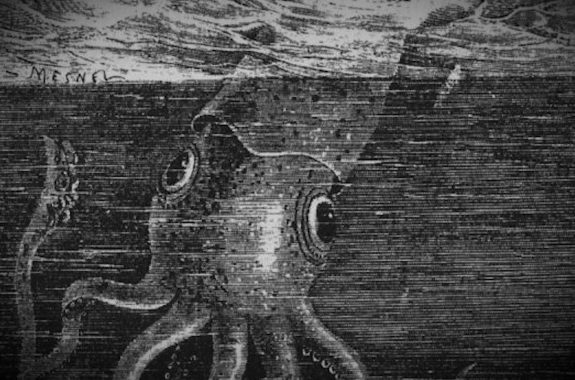 Estimating how many giant squid are lurking in the deep ocean seemed unfathomable...until now! 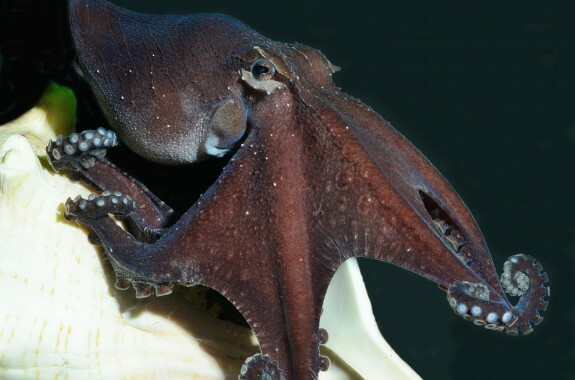 With thousands of chemically-sensitive suckers, color-changing skin, and a brain that literally stretches when they eat, octopuses seem like aliens living in our oceans. 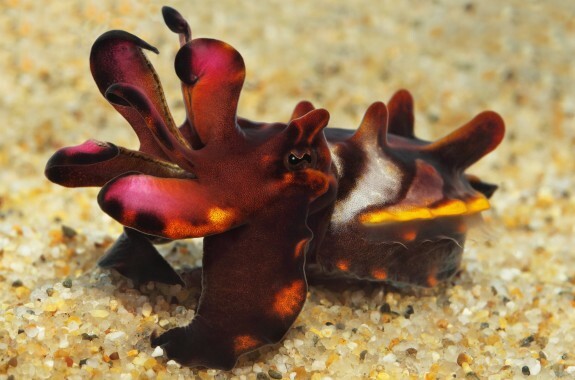 Internet chatter suggests that the flamboyant cuttlefish—known for ambling along the seafloor and flashing brilliant displays—is toxic. What does the science say? 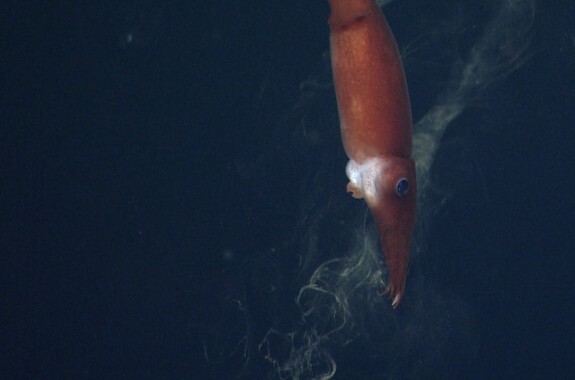 Stephanie Bush, a scientist at the Monterey Bay Aquarium Research Institute (MBARI), suggests that squids might use ink to attract a mate, repel a predator, or even confuse their prey. 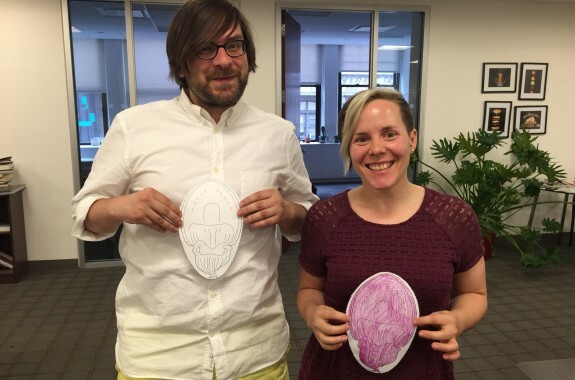 The fourth annual Cephalopod Week kicks off with a cephalopod matchmaker and a researcher studying octopus defenses. 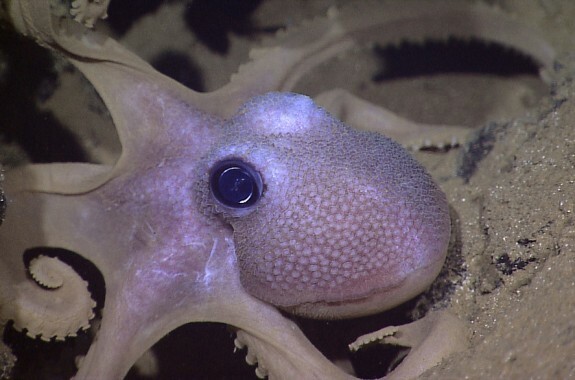 This cephalopod will carry and brood its eggs for several months, without feeding. Ethologist Roger Hanlon has devoted a career to studying how octopuses, squid, and cuttlefish become inconspicuous. 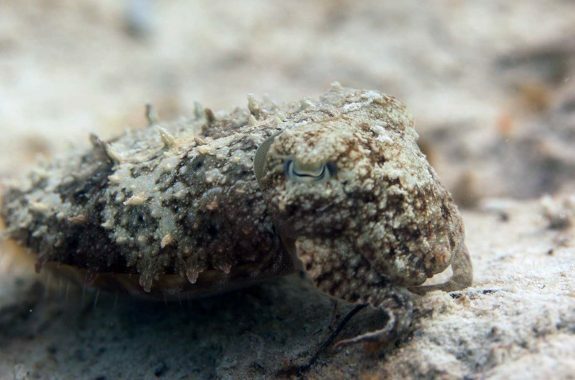 How well can your cuttlefish camouflage? Octopus researchers help kick off our annual Cephalopod Week celebrations with a look at the octopus, from its genes to its outlook on life. Stephanie Bush of the Monterey Bay Aquarium Research Institute aims to classify and name a presently undescribed deep-sea cephalopod. 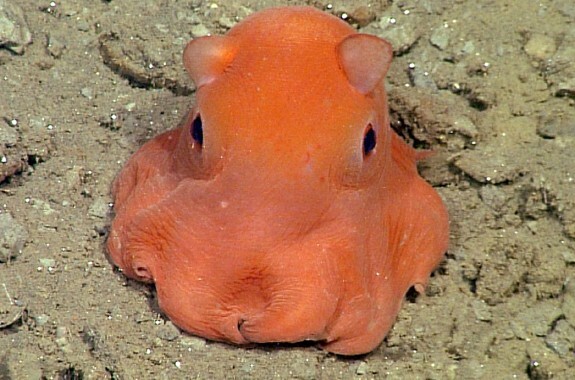 This midwater cephalopod sports different-size eyes for different functions. To keep the brainy creatures healthy in captivity, caretakers employ a variety of tricks, including dog toys. Dr. Chrissy Huffard explains how and why an Octopus might stand up on two tentacles and run backwards. 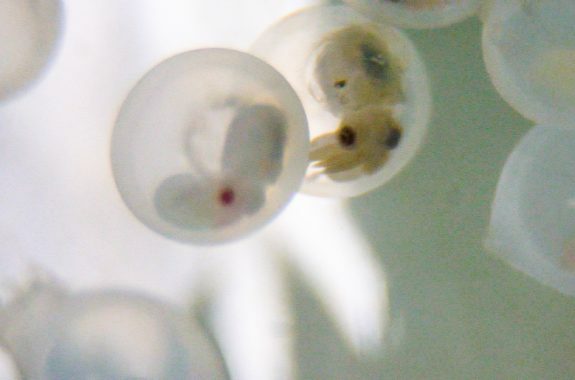 Using recycled soda bottles, modified cradles, and knowledge of each species' husbandry, the Monterey Bay Aquarium staff have nurtured to adulthood 95 percent of the cuttlefish eggs spawned. 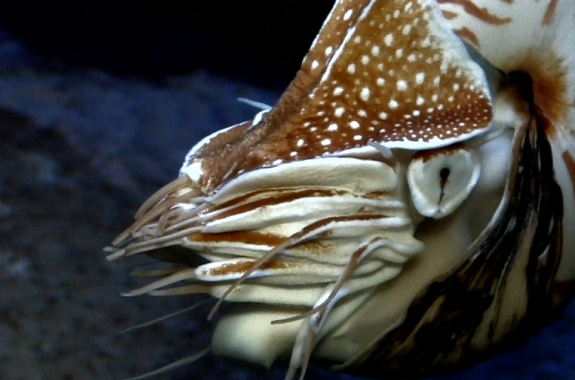 A series of experiments by evolutionary biologists Dr. Jennifer Basil and Robyn Crook involving fish juice, blue lights, and mazes dispels the notion that the ancient Nautilus is incapable of basic learning and memory. 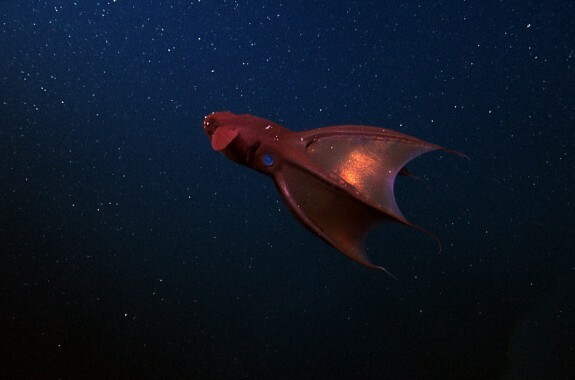 Although its Latin name translates as "the vampire squid from hell," the vampire squid is actually a gentle steward of the ocean's depths, gracefully foraging on marine detritus. 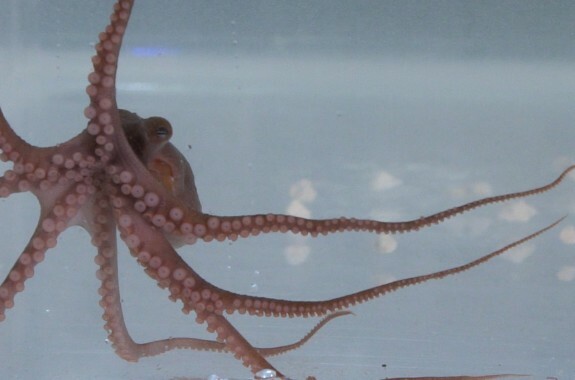 A new study reveals surprising mating, dwelling, and feeding behaviors in one rare species of octopus. Cuttlefish change the patterns on their body for courtship rituals, when they eat a snack, and most famously when they want to blend in. 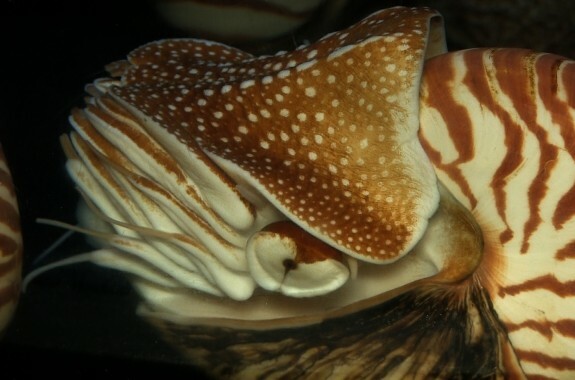 The nautilus, the "living fossil" of cephalopods, can uncover the origins of the complex brain of modern cephalopods. 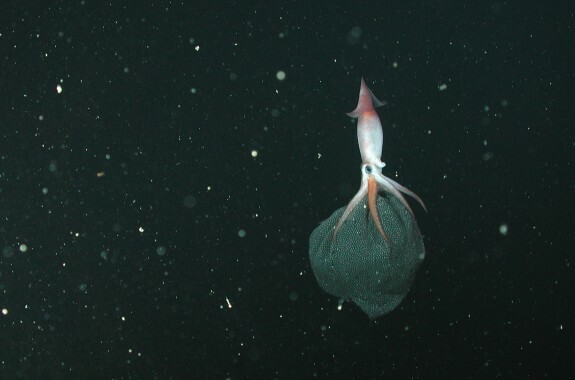 A wrap of highlights from Cephalopod Week, and a check-in with SciFri education manager Ariel Zych and biologist Chuck Fisher aboard the exploration vessel "Nautilus." This venomous octopus packs a punch, but it's more likely to hide than launch a poisonous attack. How Do You Measure the I.Q. of an Octopus? The trick, says primatologist Frans de Waal, is to measure animal intelligence not by human standards, but by the standards of an octopus or elephant or chimpanzee. 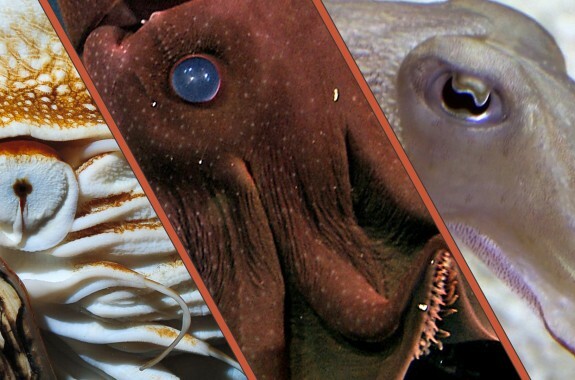 They're the amazing cephalopods, and Science Friday, public radio's source for news and entertaining stories about science, celebrates them with Cephalopod Week. 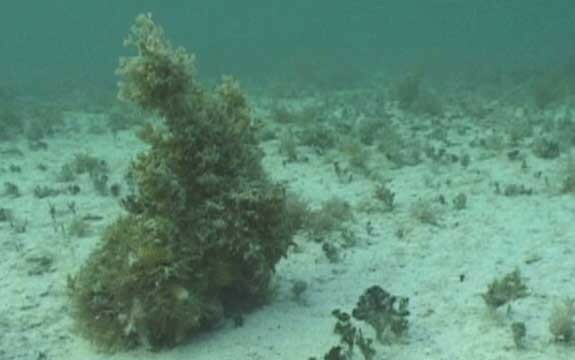 When marine biologist Roger Hanlon captured the first scene in this video he started screaming. 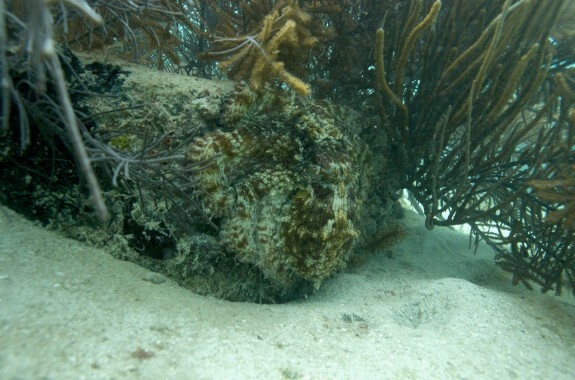 How Does an Octopus Change Its Body to Blend In With Its Environment? 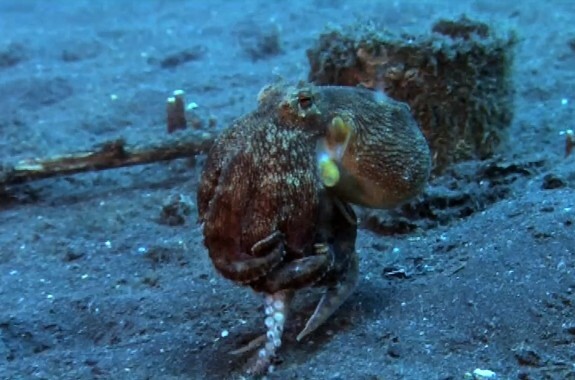 Watch footage of a live octopus to model different ways that these animals can camouflage themselves by changing their body’s texture, shape, size, and color. In this 1997 conversation, neurologist Oliver Sacks describes the island of the colorblind, then chats with a researcher searching for giant squid. What happens if you play music through squid cells? 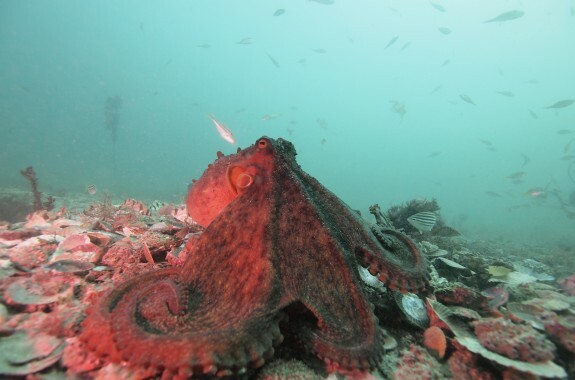 One species of octopus uses changing coloration and shifting postures to send signals to other octopuses. 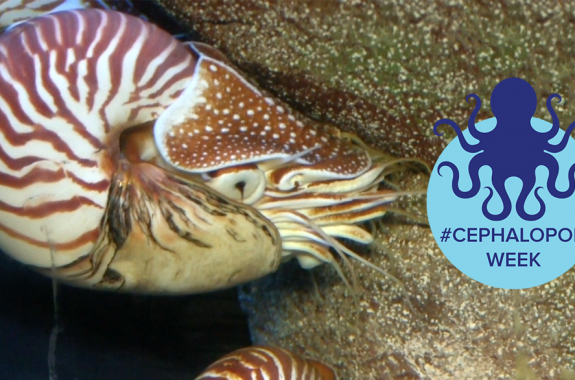 We’re bringing the cephalo-party to L.A., San Francisco, Chicago, and New York! A guide to the world of imaginary companions.